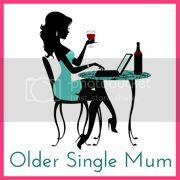 Older Single Mum: The Truth Acccording to Women. The Truth Acccording to Women. Ooh I do love a #Listography and Kate Takes 5 has come up with Top 5 Truths According to Women [of a Certain Age!]. 1) Know your limits. You don't have to be everything to everybody. A rest won't kill you. 2) Please yourself. If you fancy flowers / jewellery / whatever, you don't need to rely on other people - get your own. 3) Lower your expectations - it's expectations that hurt. But that doesn't mean you have to drop your standards. 4) Be true to yourself - it will pay off in the long run. Even if you don't understand a certain feeling at a particular time, let it guide you and it will - one day - make sense. 5) Having children is the most important thing you'll ever do. Find yourself a good man to settle down with earlier than is fashionable. Ideally, have the little blighters while you've still got the energy you'd otherwise be burning at the gym, because once that's all gone (and, let's face it, you'll never get it back), you'll find yourself counting down the hours until bedtime from the moment you get up. AND it's undoubtedly best to undertake this herculean task with someone you love and who loves you back unreservedly. I think there's a book in the making with all the other words of wisdom on this particular Linky! All good pearls of wisdom. I think the book thing is an urban myth which I may have inadvertently started. Woops. Very wise words indeed lovely lady - actually point one really resonated with me - its actually really important to know your limitations in the interests of self care. And so right about lowering expectations!. X.
I would love to have come along to the MADS. Have a brilliant time - and give me the low down when you get back! X. Agreed with every one. I think remembering you don't have to be everything to everybody is a very good thing to remind oneself of every morning. I might have to have a think and join in. I think you're right. Please do! I wish I could put no. 1 into practise - I'm always trying to look after everyone else and be who they want me to be. And 3 and 4? You're like the Dalai Lama in your wisdom. How do you do it? Oh I understand. I am always torn too. It is the hardest thing you'll ever do - but why not try 50 / 50?! Absolute gems I have to say - I may have to read this post every morning before beginning my day. 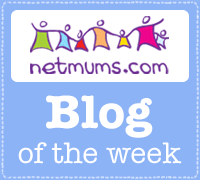 Thank you kate and well done on making the netmums Blog of the Week with it! Great words of wisdom. I think the lower your expectations but not your standards is a really good one! And knowing your limits too. Admitting you need a break is so often seen as failure these days but it really isn't.